Just because your sales reps make LinkedIn connection requests daily and tweet company news from time to time doesn’t mean they leverage social selling. And if they’re not leveraging social selling, they could be missing out on deals. Coach your team on implementing some of the tips LevelEleven CEO Bob Marsh shares in his recent Inc. post, and you’ll make sure that’s not the case. You’ll prep your team to get the most out of channels like LinkedIn and Twitter and to do so in ways that will boost sales. What’s the key to sales and networking, regardless of whether or not you’re online? Making strong connections. Beef up your LinkedIn connections as much as you can on your own, but don’t be afraid to ask a colleague (or old coworker, boss, friend, even uncle!) to make an introduction on your behalf to a prospect you’re trying to connect with online. As long as the introduction is genuine and personable — not overtly promotional — it actually works. It’s also important to note that LinkedIn is not only great for making those connections, but setting up first touch points. For example, if you’re having a difficult time reaching a prospect over the phone, simply view their LinkedIn profile. 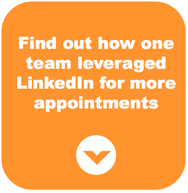 Our sales reps have great success with this tactic, as the LinkedIn page visit alert gets the sales rep’s name on the prospect’s radar and increases the likelihood of a returned call. Of course, a short message and/or connection request can also work well in cases where you’re looking for something stronger than a page view. Before you begin pitching people over LinkedIn, or even communicating via Twitter, take the time to do your homework. Did you go to the same college, grow up in the same area, or know some people in common? Look for similarities that could open a relevant conversation that’s unrelated to your business. Find meaningful information on your prospect that might establish a personal connection. Then begin your outreach online by citing that shared interest or background. If you don’t have a shared connection, you can also just leverage any information that the prospect is likely to be passionate about. For example, it’s almost time for March Madness, and most people who went to large universities have great pride in their alma mater. Find out if any of your prospects attended one of the schools in this year’s NCAA Tournament, and open your introductory pitch with a line about the upcoming games. Most people on LinkedIn display profile pages indicating they’re looking for employment. Create a profile instead that cements your expertise. Let contacts identify your online presence as belonging to a thought leader, not a job seeker. On Twitter, make sure you’re able to keep up with discussions and respond to industry-related posts in real time. Don’t publish tweets solely featuring your own thoughts, either. Have conversations, and retweet regularly. For every tweet you publish, there should be at least three tweets that come from other sources, such as those mentioning or linking to trending articles, good quotes, or interesting statistics. Communicate with prospects and clients, comment on hot topics or even share some of your sales team’s fun personality with more casual posts. At its core, social selling certainly helps sales reps identify and pitch new leads, but social media channels can impact sales throughout the entire process. For example, say a contact has started to fade or become increasingly less responsive. Retweet them, or comment on one of their LinkedIn posts to get back on their radar. Social media channels offer another touch point between sales reps and those key decision-makers. Is your sales team using social media to boost sales? Here are 6 tips that they should consider.